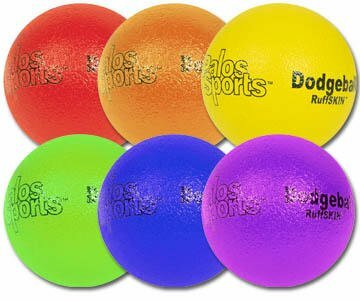 "RuffSKIN" 6" Dodgeball Soft, safe and economical! For target games, tossing activities, even beginner baseball! Make this ball your choice when you need low density for safety, yet a durable polyurethane cover for toughness. Sets consists of one of each color: red, orange, yellow, green, blue and purple.